When you reach a certain level of angling there are two key ingredients to excel in the fishing industry and possibly even make it a career. One is skill and the other is promotion. You can rarely have one without the other and if you can get good at both, then you’re on your way. Take a second to think about your favorite anglers. How do they do both on the water and off? How valuable is the information they are teaching you, and how well do they promote their sponsors? Now, can you see how hard they truly work every day to turn hobby to career? 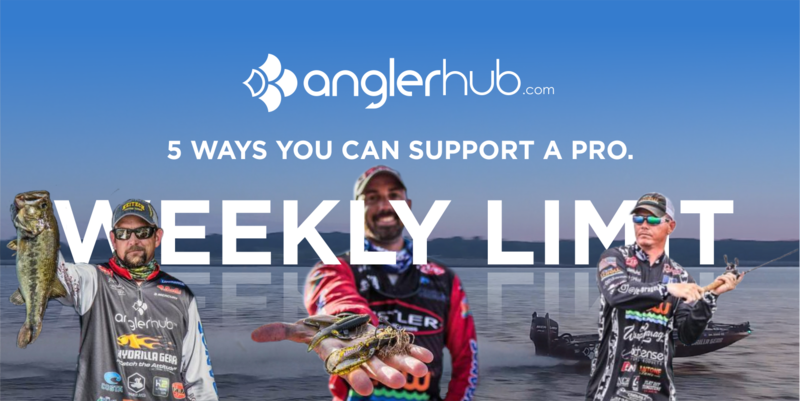 In this week’s limit we will cover how you can help your favorite anglers, both up and coming to big stage, simply by being a good fan. Below are five of many ways to help angling pros to reach the top! No.3 - Spend a little cheese. No.4 - Show up to events.